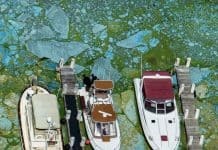 This week, U.S. Rep. Francis Rooney, R-Fla., brought out a proposal to ensure the Federal Emergency Management Agency (FEMA) would intervene in case of a toxic algae outbreak. Rooney unveiled a proposal to “amend the Stafford Act to include algal blooms in the definition of a ‘major disaster,’” which would bring FEMA in. Florida was hit by toxic algae and red tide last year. On Thursday, Rooney weighed in on why he had introduced this legislation which he filed on Wednesday night. 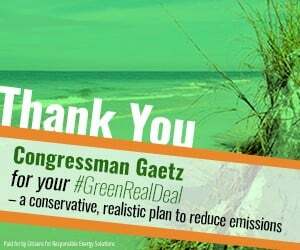 “The health of our Southwest Florida waterways and ecosystems is vital to our economy – in addition the physical harm to people living in proximity to toxic algae is of great concern. We must make every effort possible to mitigate harmful effects of red tide and toxic algae and we must also take the steps necessary to eliminate the root causes of these outbreaks – our water quality. I will continue to fight for the resources we need to fix our water,” Rooney said. Rooney’s bill was sent to the U.S. House Transportation and Infrastructure Committee.